The Red Edition chair in solid oak and fabric keeps to sensual curves, allowing it to slip discreetly behind your table or desk. Hand-crafted, its back accommodates your body naturally. With its Scandinavian feel, it fits into the Fifties collection all the while adopting a very contemporary 'je ne sais quoi'. 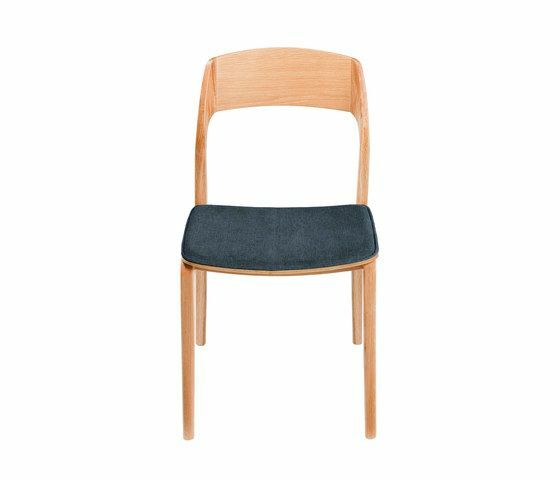 The work of the tapestry married with the solid oak makes for a thoroughly unique chair. Its innovative design coordinates materials to make this a timeless chair. The Red Edition chair is available in all our fabrics, the choice is yours. Partnered with the Red Edition dining table or desk, this chair will become your chair. Mix and match different prints to upgrade your dining room or calm things down by having them sing in unison.